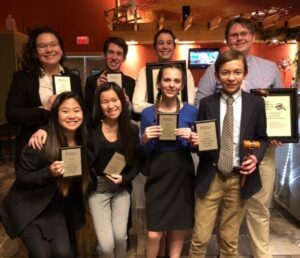 Eight members of the Jackson Hole High School Speech and Debate Team qualified for national competition during a statewide qualifying meet at Western Wyoming Community College over the weekend. Students from 20 schools competed for the state’s top honors. 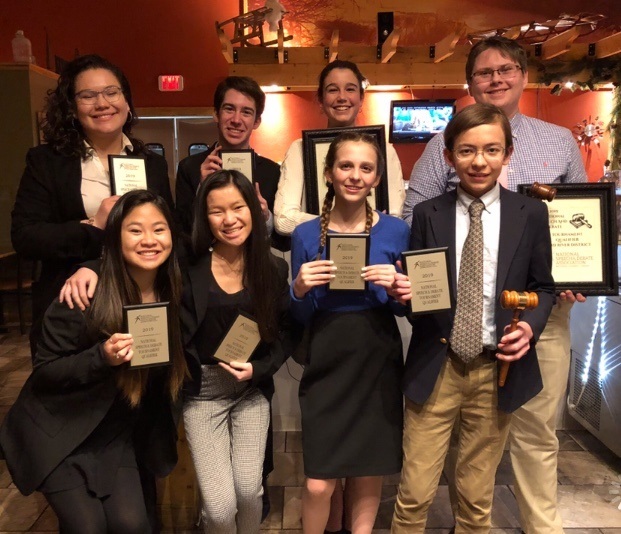 With the conclusion of the competition, Seniors Samantha Smith & Leila Sandlin, juniors Warren Levy & Maeah Tuttle, sophomore Josh Hansen, and freshmen William Aepli, Virginia Girling, & Anna Revill will represent the Wind River NSDA District this June as they travel to Dallas to compete against the best in the nation at the National Tournament. The 2019 National Tournament brings more than 4,500 students from more than 1,200 schools from across the country for the competition which takes place June 16ththrough the 21st.This is the twenty-second consecutive year and the thirty-second overall year that members of the Jackson team have qualified for the national meet.